Nexus is a versatile Magazine theme packed full of custom widgets and content modules that give you control over your page. 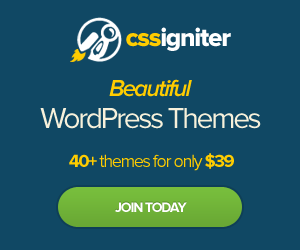 This is the latest theme from ElegantThemes. The challenge of any Magazine theme is to take massive amounts of content and present it to the reader in a clear and structured manner. Nexus achieves this through a strict grid, typographical hierarchy and a clean layout that gives each element just enough room to breathe. Click here to see more features of Nexus. Nexus is a highly customizable Wordpress Theme with a drag and drop homepage builder. You can easily configure modules with ElegantThemes intuitive drag and drop system to create your own homepage layout. You can also pick and choose whatever colour and style you want for your magazine site. You can change navigation colours, background colours and more. Other features include a responsive design, social media integrated, social media icons, animations, ratings & reviews system, banner management, shortcodes, theme options, localization, page templates and more.